Tray.io is the glue that holds all our systems together. It interacts with a lot of different systems, and it’s the only solution flexible enough to do what we need. DexYP is a leader in local business automation software and online listings for more than 500,000 independent American companies, connecting them to more than 47 million monthly visitors. The firm recently bolstered its reach by augmenting its local business automation app Thryv with the acquisition of The Real Yellow Pages. The reasoning behind DexYP’s decision to incorporate one of the longest-lived and most trusted directories for local business into its local business automation software should be obvious. However, combining the operations of these companies wasn’t going to be as easy to figure out. The newly-expanded company needed to build an end-to-end order management platform that included online orders, fulfillment, and payment processing (for which it had selected the user-friendly solution Recurly). And the team needed to hurry, so it could enable the newest addition to its family - the YP sales team of 1,500+ sales professionals - to start selling ASAP. DexYP’s partner management team found itself at a crossroads: Either find an accessible solution to this complex challenge on its own, or file a helpdesk ticket and start waiting for the IT department to build it. The scale of the project would likely have required months, if not up to a full year, of scoping, testing, and the use of potentially expensive point solutions that would each require their own evaluation period. This delay would, of course, also mean that its new 1,500-person sales team would have been looking at up to a year’s worth of inactivity...which would’ve been another significant problem. To accomplish its goals, DexYP decided find a General Automation Platform that was powerful enough to directly integrate the different elements of its operational stack, and was user-friendly enough for the business users on its team. It evaluated its options and decided to work with Tray.io. To connect its different systems, the DexYP team used Tray.io’s drag-and-drop interface to directly integrate orders, payments, and fulfillment. Specifically, the company built a workflow that built a 1:1 correlation between individual online orders placed through the company’s online portal and payment processing through Recurly on the back-end...and then routed processed orders back to DexYP’s fulfillment system to close the loop. The company has gone on to integrate Tray across other aspects of its business. Cantor explains, “The really cool thing we can do with Tray.io, in my opinion, isn’t just workflows, but also all the one-time projects we need to do,” such as making updates to DexYP’s popular coupon redemption system. All shoppers love a good discount, but the terms on different offers frequently need to change. This means that the team would find itself facing non-trivial manual tasks, such as converting thousands of lower-value, evergreen coupons into higher-value, limited-expiration coupons. 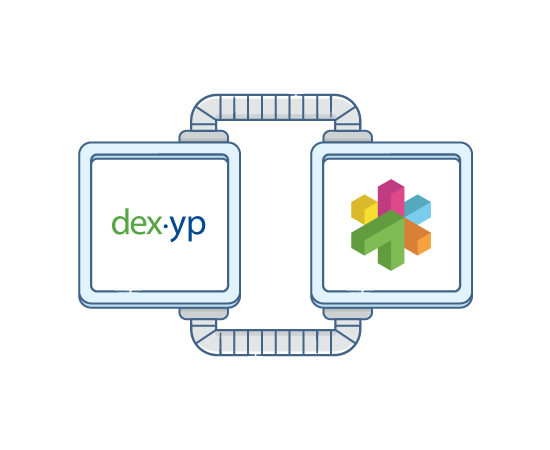 The DexYP team has since built a workflow that turns this complex use case into a fully-automated process that completes itself in just minutes. Using Tray.io, the DexYP team was able to build exactly the functionality it needed. Better still, the build process for it was complete in a matter of weeks. With its order management apparatus in place, DexYP was able to take the YP sales team off the bench and immediately get them selling. 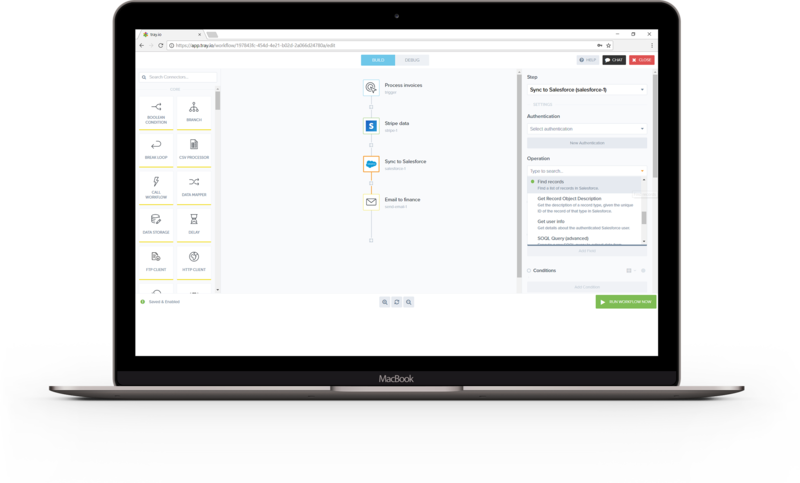 In fact, the newly-integrated sales experience was so much easier to use, and more popular, than the company’s previous internal selling platform, that the original sales team requested a built-out version for themselves.